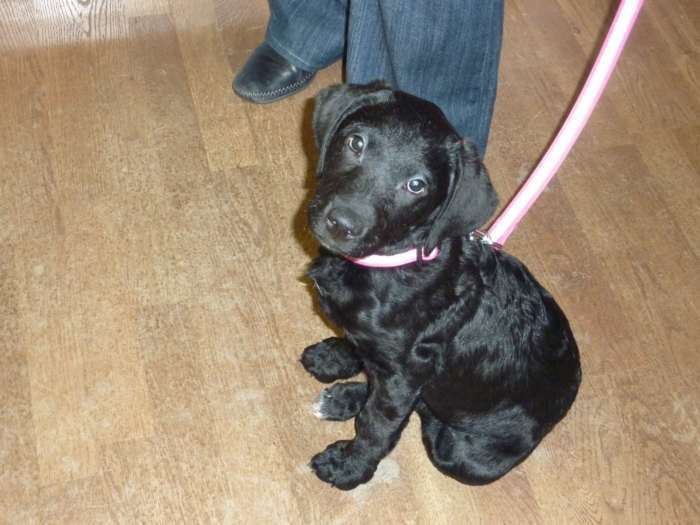 Meet Sally a lovely 16 week year old Labrador who visited our Wallingford Office this week with one of our clients. With wooden flooring in each office and local staff who are all avid dog owners we warmly welcome dogs (and their owners!) into both our High Street offices. We understand that little extra about selling houses for our dog owning clients. You can be sure of a warm welcome from any of our valuers who are all dog owners and more importantly we realise how important it is to deal with our furry friends when selling your home with those strangers coming in and out! So please come in for a warm welcome canine friend and all and we offer a free ‘dog wash’ from one of our favourite customers at the ‘Pooch Mobile’ if you sell or rent your property with us during January and February 2011.